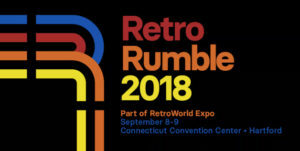 Every year we host a number of gaming tournaments at Retroworld Expo on both retro and newer gaming consoles. As we get closer to the show we will be adding additional info as to what games we will be having tournaments with so check back here often. 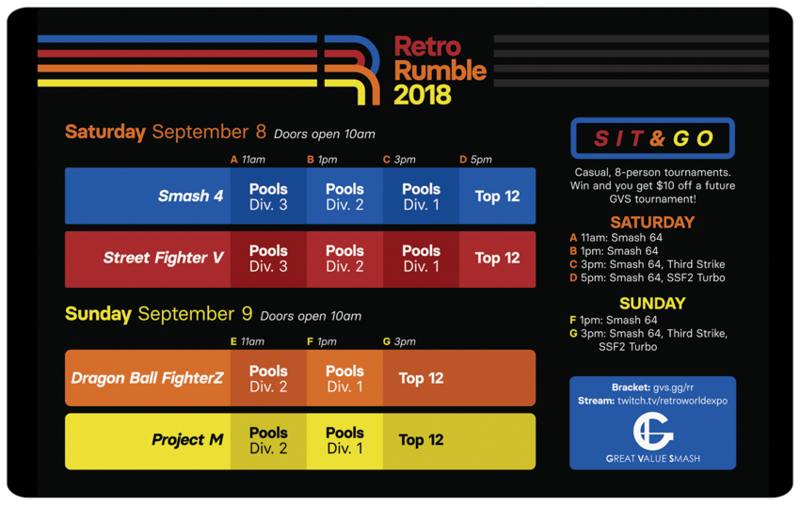 Don’t miss out on a premiere fighting game tournament- the teams behind RetroWorld Expo and Great Value Smash are proud to present Retro Rumble for its second year! 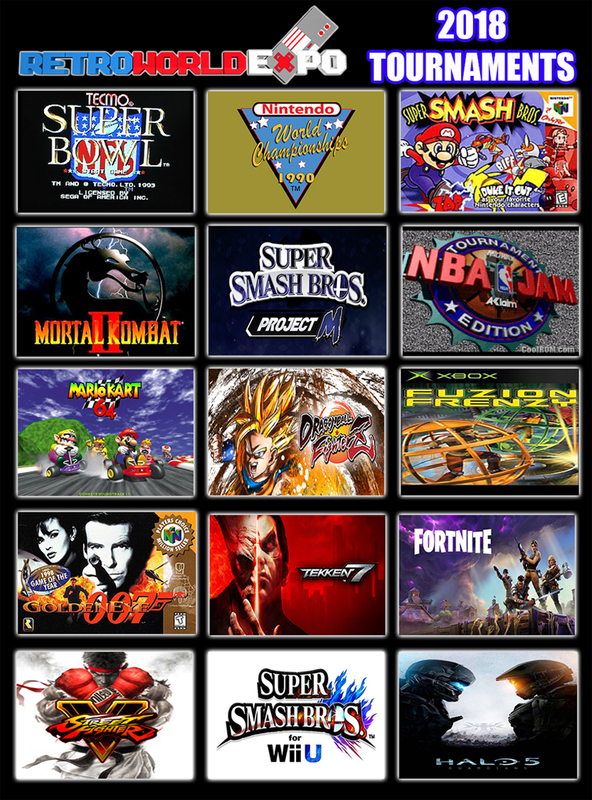 This years games feature – Project M Singles, Street Fighter V: Arcade Edition Singles. Dragon Ball FighterZ Singles, Smash Wii U Singles, Street Fighter III: 3rd Strike Singles, Super Street Fighter II Turbo Singles, and Smash 64 Singles. 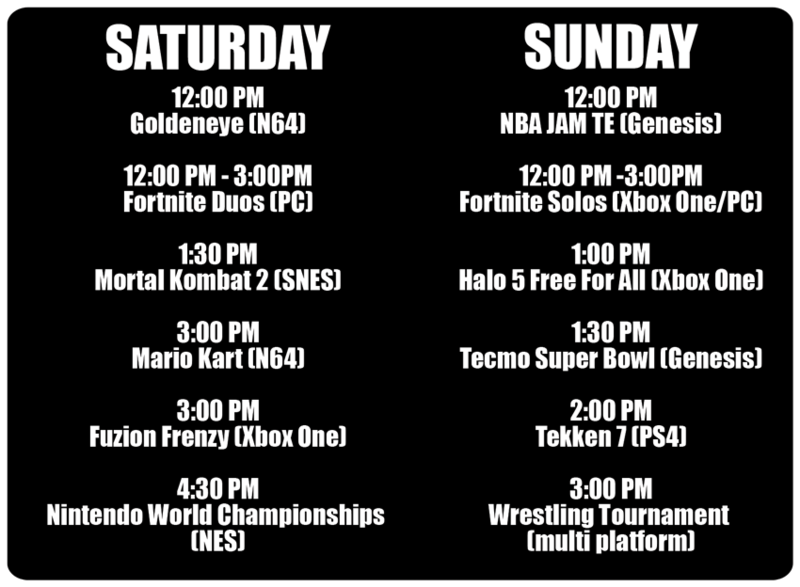 You are able to pre-register to some of our tournaments below, all others you may register for at the show! !